Listing Agents - Deal Makers or Deal Breakers? There is always something to be learned from past home sale transactions that do not happen! The questions that go through your mind as the buyer's agent or as the listing agent when negotiations hit a stone wall...yes, they do just fall apart sometimes. Did you do all you could do for your client to make the home sale happen that would be in the best interest of the seller (as the listing agent)? Analytical as I am wanting to know how the numbers check out with comparable solds, condition, location and ultimate price is part of my process. It is important to set the expectations to the sellers periodically as a house remains on the RI coastal real estate market awhile. What am I doing to usher the home sale process along? - Letting the sellers know there is a timeline that must be met when in contract. If you miss it or decide to let Uncle Ernie hold onto the purchase contract an extra week because his lawyer (not a real estate lawyer) must review it before he will sign ...well the buyer may opt out for another home. You can control only so much and this pitfall, when there are multiple parties who must sign on the sellers side, is extremely troublesome. One party to the transaction tends to be a deal breaker. - Understanding pricing in the real estate market every month your listing stays on the market must be re-evaluated and reviewed with the sellers. Knowing how the appraisers do their comparables in certain areas will better prepare you and your clients for the ultimate pricing number when the buyer is not cash. Even if you price a house higher than the real estate market because the seller insists on trying it for one month, realize any offers that come in at FULL price may not matter if a lender is involved. If there are no comparable sold homes to support your sale well you will have to lower the agreed sale price to get the home sold. Yes, the sellers' father will probably call you a deal breaker for not cutting your commission to ante the extra money to the sellers but guess what... does he cut his weekly salary when asked? If you always set the right tone you are a deal maker in every way. - Realizing the restrictions of a FHA versus a conventional loan on certain items that must be repaired prior to closing for a buyer. FHA is not going to allow peeling paint or a bygone roof remain and not be fixed prior to closing. If your seller can not do these repairs be forthright and up front when a buyer comes to you with a FHA loan approval on an offer. A deal maker will have discussed this issue with the sellers, have gotten estimates to do the jobs and know whether the sellers can take care of these items. Waiting months and going through multiple offers before you set the tone with your sellers is like being a deal breaker. Know the facts and provide them to other agents which will be appreciated and enable you to find the right buyer for the listing. - Selling coastal RI real estate requires knowing flood plains, flood maps, flood insurance changes, building requirements and even tide depths. If you are a listing agent ensure you have the right information up front. Do not frustrate the buyer's agents that come to you with consistent inaccurate information. Did you just think that posting a for sale sign on the property was enough to sell a million dollar home?! Be a real estate deal maker your sellers need you to be. Sellers make sure your listing agent is truly experienced in selling a home like yours. A reputation as the right real estate deal maker for sellers is the ultimate goal. And yes, if you do that in many ways you will be appreciated by buyers agents as the trustworthy and knowledgeable real estate listing agent you are. Looking for a RI coastal real estate agent who delivers with the honesty you need? 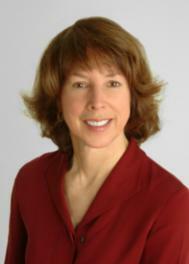 Give me a call, Ginny Lacey Gorman, at 401.529.7849 and let me guide you successfully towards your home sale today. You always need a listing agent who is a deal maker. Listing Agents - Deal Makers or Deal Breakers? Ginny Lacey Gorman is a Rhode Island waterfront Real Estate Agent who works and knows the RI coastal geographic area of homes for sale, schools, happenings and important tidbits of real estate information well.